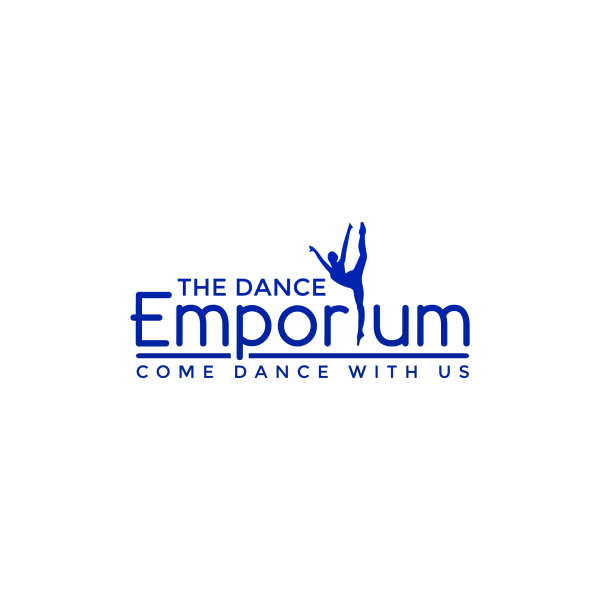 Our staff of dance and music instructors are an integral part of The Dance Emporium. Ms. Green is the Director of the studio, and brings over 35 years of teaching, choreographing and dance education to her classes. Originally studying on Long Island and in NYC, Ms. Green began working off-Broadway during her pre-teen years and continued performing throughout high school and college. Majoring in English and Business in college, dance was always present with classes, teaching and choreographing for various studios and organizations, where she began to be recognized for her community contributions and choreography work. Ms. Green has created curriculums for several recreational programs, schools, outreach programs and organizations who have sought to make dance, and the arts, accessible to all students, regardless of their status or ability to afford lessons. She has continued her studies and love of dance education with well-known masters in the industry and continues to strive for helping those who want to succeed. 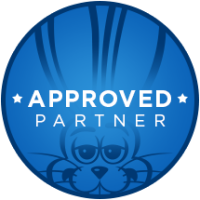 She particularly enjoys working with students on threshold skills to help them reach their next skill level. 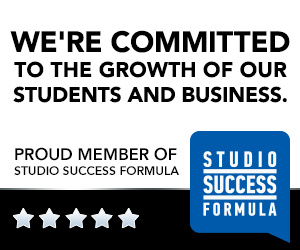 "I really love seeing students succeed ... that moment is absolutely worth it!" Currently working with the Montessori school, where she has been teaching ballet classes for over a decade, to help introduce young students to the joy of dance, as well as the YMCA, where Ms. Green has implemented a dance program for several of their locations, while also teaching and choreographing at The Dance Emporium ... she is happy to be doing what she has always loved.... Seeing her students succeed! 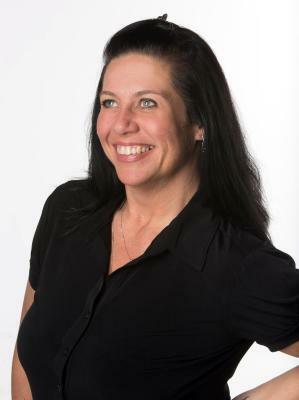 Mrs Rosetta West - Bonneau has taught at the Dance Emporium since 1999, where she is the assistant in charge of curriculum. Mrs. B also taught at the Wendy A Cutting Dance Studio, where she first met Ms Green, and began as a Ballet teacher. Mrs. B received her training from many teachers, a few of which made lasting impressions on her teaching styles, including Mr. and Mrs Fred Nicholson and Mrs. Wendy A Cutting. Although Mrs. B started principally as a Ballet teacher, her mentors saw her passion and love for those around her and encouraged her to also begin teaching tap , African and jazz . Mrs. B currently teaches tap , jazz and ballet at The Dance Emporium, where she encourages her students and pours the love of dance into each class . "I want them to love dance , their studio and their teachers. We here at the DE want it to be a safe place for them." Many alumni will attest that Mrs. B has already done that job and is comtinuing to do it beautifully every day! Having been a staff member since 2009, Kelly’s dance training began as a child in Massachusetts where she studied and performed in the styles of Ballet, Lyrical, Jazz and Tap. She went on to get her Bachelor’s degree in dance from Dean College. Upon graduating from college, Kelly moved to NYC to pursue her career as a performer. She has been a member of multiple NYC tap companies, including Undertoe Dance Project, and Ya'el Tap Company, and has had many wonderful opportunities to perform in New York. Currently the Dance Captain of Anthony LoCascio’s #Taplife company, and the captain of his pre-professional #Taplifetoo companies; she is also the Co-artistic director of Astoria Tap Crew, a small Queens based company that specializes in local benefit performances. Some other achievements have been performing at Lincoln Center in a showcase of Alan Onickel’s choreography, choreographing and performing for the Inaugural NYC Mardi Gras event, as well as many performances in festivals such as The Tap Dance Day festival in NYC, the DC Tap and Jazz festival, and the Annual Astoria dance Festival. ​​ Keala De Angelo has been training as a dancer since she was three years old due to encouragement from her mother, who was a professional dancer and dance teacher. She started dancing with a highly competitive team at the age of nine and continued training in studio with jazz, breaking, hip hop, and popping. She has been trained by Quinell Dixon in Krump, Tony Ray in House, Moana Rakanence in Urban Hip Hop, Marc Cleary in Hip Hop, B-Boy Juice in breaking, and Omeed Simmatob from The Body Poets in popping. She also studied dance at her high school for four years where she served as head dance captain. Ms De Angelo continued as assistant coach and assistant choreograph for the dance and performance team for three years; while continuing to teach in local studios. She has competed and taken her teams to World's Hip Hop International, Showstoppers, Jump!, Buildabeast, and TSC. She has trained at various studios such as Culture Shock, Millennium, and ImmaSpace. We are excited to welcome Ms. De Angelo to our staff! Miss Megan began her Apprenticeship in 2018 and is excited to join the staff as a Junior Instructor. She has been dancing with The Dance Emporium since 2010, and has had the opportunity to study several styles of dance including ballet, pointe, jazz, tap, lyrical, contemporary, hip hop, and acrobatics with many of the experienced and talented instructors at the studio, guest instructors and master teachers. 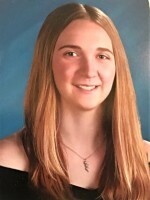 She is a member of the Senior Ensemble, and has participated in performances with The Dance Emporium at places including Sesame Place, HersheyPark, and Carnegie Hall. 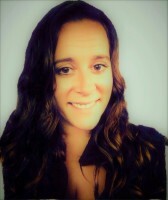 Miss Megan enjoys working with children, and looks forward to sharing her love of dance with her students. With a Performing Arts Degree from Dutches County Community College, Ms Gozza has been studying dance for 30 years, and educating for 12 years. She has performed with numerous local studios and companies. Ms Gozza joined the staff at The Dance Emporium in 2005 and is honored to continue helping guide and inspire students. She is a wonderful instructor for many of the studio's younger, and beginner, students, helping them discover their own love for dance. While Ballet and Lyrical/Contemporary are her favorite styles, she enjoys all aspects of dance. Ms Gozza feels truly blessed to pass on her knowledge and talent with her students. Miss Victoria began her apprenticeship during the summer of 2015 and is now a permanent staff memeber. Having been training in dance styles such as ballet, tap, jazz, lyrical, contemporary, acrobatics and hip hop from a young age, she has had the opportunity to study with many wonderful instructors at The Dance Emporium, guest instructors and master teachers at conventions and Dance Excellence. Being a member of the Ensemble curriculum, Competition teams, Carnegie Hall team and DEX team has allowed Miss Victoria to continue her training, while also auditioning for scholarships and programs. The recipient of Tremaine Dance Convention scholarships in the Junior,Teen & Senior rooms, she has worked hard on her dance training while remembering to remain true to herself and her kind spirit. Recently auditioning at Joffrey Ballet School in NYC, she was invited to participate in Joffrey's Dancer Intensive Program during the 2015-2016 school year, participated in the Joffrey Summer Ballet Intensive 2017, and invited to join the Trainee Program in 2016, 2017 and 2018. We look forward to seeing what other great things Miss Victoria will do as her dance career continues to blosssom, and young dancers at the studio continue to look up to her, and her warm and welcoming smile. Miles Keeney was born in Hong Kong, China, grew up in Connecticut, and now lives in New York City. He started dancing hip hop at the age of 13 at Allegra Dance Studio under Frankey Melendez Rodriguez and at Connecticut Ballet School under America’s Got Talent winner Kinichi Ebina. After a hiatus from dance in high school, Miles rediscovered his passion at Connecticut College where he received his BA with a double major in Dance and Human Development. While in college Miles solidified his performance, technical, and choreographic skills. He had the opportunity to choreograph over 15 pieces for stage performance. Miles credits his experience studying abroad at the University of Auckland in New Zealand his junior year with confirming that dance was his only career option. He has trained at numerous Pulse On Tour conventions as well as at Millenium Dance Complex in the summers, and most recently through the Broadway Dance Center Professional Semester. He's had the opportunity to train under the most revered names in the industry and has been noted for his passion, power, and versatility. 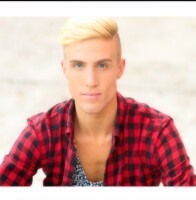 The Dance Emporium is pleased to have Miles as a guest instructor. Miss Alyson began her Apprenticeship in 2018, have trained as an assistant for the previous five years, and is excited to join the staff as a Junior Instructor. She has been training with The Dance Emporium since 2005 in styles such as ballet, tap, jazz, hip hop, lyrical, and acro. She began with the ensemble program in 2009 and has continued to grow not only as a dancer but as a person. She has performed at many different venues such as Six Flags, Hershey Park, and Citifield stadium. Being a former member of the competition team, she also performed at Lincoln Center, and Carnegie Hall, and she has had the opportunity to work with many incredible instructors at conventions. MIss Alyson is excited to share her love and knowledge of dance with her students. Ms Riggs danced for The Dance Emporium from 1999 until 2010. While a student at The Dance Emporium, she was a member of Ensemble, Competition team, and performed at Carnegie Hall and Six Flags. 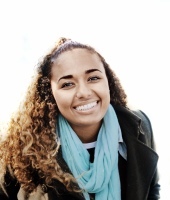 She is now a student at Mount Saint Mary College majoring in Human Services with a minor in Psychology. She graduates in May 2017 with hopes of working with children. Her joy of working with children and making a positive impact on them has brought her back to the studio, as a teacher. She is very excited to start her journey sharing her gift of dance, hopes to give back to the students all the wonderful lessons, guidance and love the studio has given to her. The Dance Emporium is delighted to welcome Ms Riggs to our staff! Olga Shestopalova was born in Russia and started to study ballet at the Novosibirsk Ballet Academy at the age of 10. She graduated at 18 years old and began dancing professionally for the Grigorovich Ballet of Russia company. She performed in many cities throughout the world dancing in various ballets. "Swan Lake", "Romeo and Juliet", "The Nutcracker", and "Giselle", are some of the ballets she has performed in. 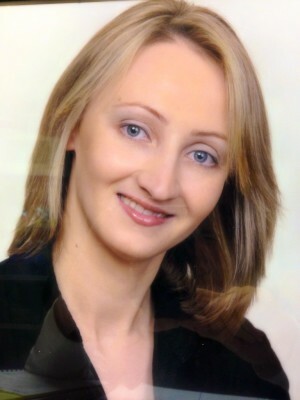 Ms. Shestopalova began teaching in 2002 in Denver, Colorado. She relocated to New York and began teaching at The Dance Emporium in 2011, where she instructs students in Ballet, Jazz and Pointe work. Ms. Shestopalova works diligently on the studio's Holiday Show each year, and strives to add to, improve upon, and elevate the Nutcraker selections with each year's offerings. She recently completed the Bolshoi Ballet Academy teacher's certification program to improve her teaching skills. Ms. Shestopalova loves teaching ballet and helping students improve their ballet skills. She has particularly enjoyed sharing her love and knowledge of character dance with her students as well. She especially enjoys teaching students who are motivated to be the best ballet dancers they can be, and help them reach their full potential. Ms Shestopalova is a talented Ballet Mistress and a valuable addition to The Dance Emporium. Samantha Uleberg has been a part of The Dance Emporium since 2007, where she has studied multiple forms of dance, including ballet, tap, jazz, hip hop, contemporary, lyrical and pointe. 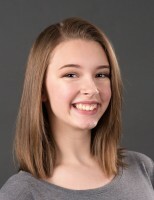 As a member of the Ensemble Program, she has performed and traveled with the studio to Florida, California, Six Flags, HersheyPark, Carnegie Hall and part of the Dance Excellence Team representing the State of New York. Having been a teaching assistant for 3 years and a subsitute instructor for a year., she is excited to join the staff on a permanent basis. 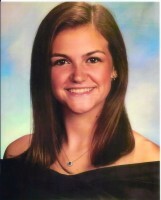 Ms. Uleberg is a graduate of Minisink Valley High School and is continuing her education as a nursing student at Mount Saint Mary College. 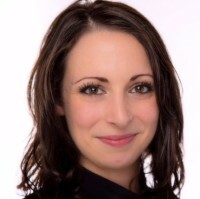 The Dance Emporium is delighted to welcome Ms Uleberg to our staff!